Well whats this all about then? You may well ask. 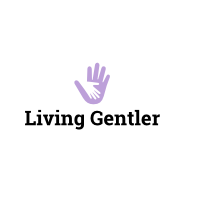 Living gentler? How does that work? Well hopefully it won’t cost you anything extra, but will benefit you anyway. Basically we can all buy into making the planet more survivable, living more sustainable lives and reducing our impact on our planet. We have all seen or heard about the Blue Planet program and how polluting plastic is, we see how plastic fragments pollute the sea ice at the poles, and get into the food chain causing harm to the earths lifeforms….. but what can we do? What can the average family practically do to lessen its impact on the world we live in? How can we pollute less, how can we eat better, and do it on a budget? Well perhaps we could all live a bit gentler couldn’t we? I applaud those that can, the eco warriors, the green activists, the ethical vegans, and the 24/7 recycle and re-users for their commitment and aspirations, I really do, and one day, a step at a time we might get there. But for every dedicated dyed in the wool eco champion there are dozens of everyday families that just want to do something to make a change for the better. Generally in life radical departures from the norm tend to be destined to fail, the effort is often to much, adverse peer pressure mounts, convenience beckons, and the cost of living goes up, then the plan fails. So for the average family with children, parent(s) working or not, and in these austere post recession times a tight family budget, are the uber-eco approaches really practical? I know we would struggle to do everything everyday. Should we be looking for a gentler approach where we are more able to find an acceptable eco / life / budget balance? Smaller steps, doing something rather than trying to do everything. Many people many small steps with a common aim? With Living Gentler I intend to log and blog our attempt at finding that balance. This is our journey to being greener, more sustainable, eating healthier and cleaner, and living gentler as a way of helping us, and at the same time doing our bit for the planet…..